When data extracted from the G-res model and tool are used, please make sure to cite it correctly using the recommended citation format. Please make sure to cite using the accurate version number. Prairie YT, Alm J, Harby A, Mercier-Blais S, Nahas R. 2017. The GHG Reservoir Tool (G- res), UNESCO/IHA research project on the GHG status of freshwater reservoirs. Version X.X. Accessed DAY MONTH YEAR. Prairie, Yves; Alm, Jukka; Beaulieu, Jake; Barros, Nathan; Battin, Tom; Cole, Jonathan; del Giorgio, Paul; Delsontro, Tonya; Guérin, Frédéric; Harby, Atle; Harrison, John; Mercier-Blais, Sara; Serça, Dominique; Sobek, Sebastian; Vachon, Dominic. 2017. Greenhouse gas emissions from freshwater reservoirs: what does the atmosphere see? Ecosystems, https://doi.org/10.1007/s10021-017-0198-9. Prairie, Yves; Alm, Jukka; Harby, Atle; Mercier-Blais, Sara; Nahas, Roy. 2017. The GHG Reservoir Tool (G- res) Technical documentation, UNESCO/IHA research project on the GHG status of freshwater reservoirs. Version X.X. Joint publication of the UNESCO Chair in Global Environmental Change and the International Hydropower Association. 77 pages. Prairie, Yves; Alm, Jukka; Harby, Atle; Mercier-Blais, Sara; Nahas, Roy. 2017. 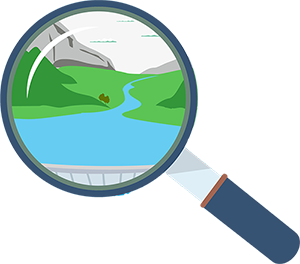 The GHG Reservoir Tool (G-res) User guide, UNESCO/IHA research project on the GHG status of freshwater reservoirs. Version X.X. Joint publication of the UNESCO Chair in Global Environmental Change and the International Hydropower Association. 40 pages. Prairie, Yves; Alm, Jukka; Harby, Atle; Mercier-Blais, Sara; Nahas, Roy. 2017. User guidelines for the Earth Engine functionality, UNESCO/IHA research project on the GHG status of freshwater reservoirs. 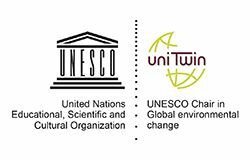 Joint publication of the UNESCO Chair in Global Environmental Change and the International Hydropower Association. 24 pages.